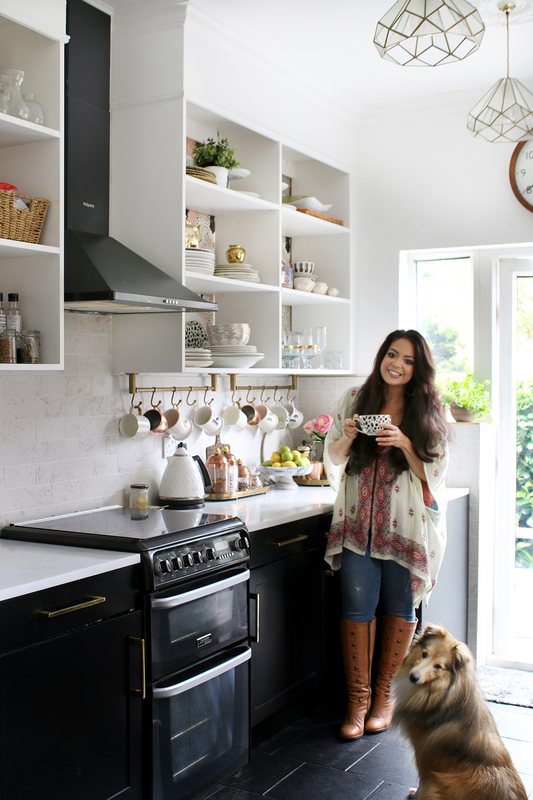 Kimberly Duran is the multi-award-winning blogger and content creator behind Swoon Worthy, an interior design and lifestyle blog. 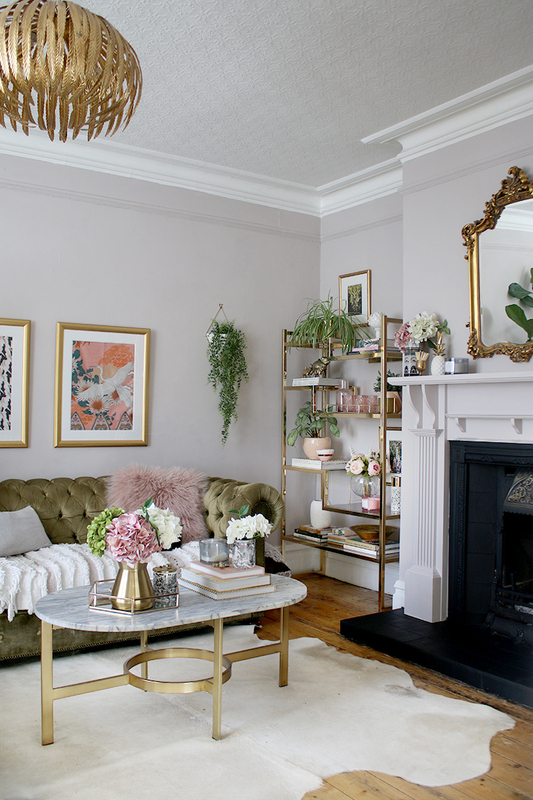 Currently living in Shrewsbury, Shropshire with her partner, Wayne and their three pets, Kimberly shares her interior design knowledge as well as her inspiration, tips and DIYs with nearly 100k readers every month. 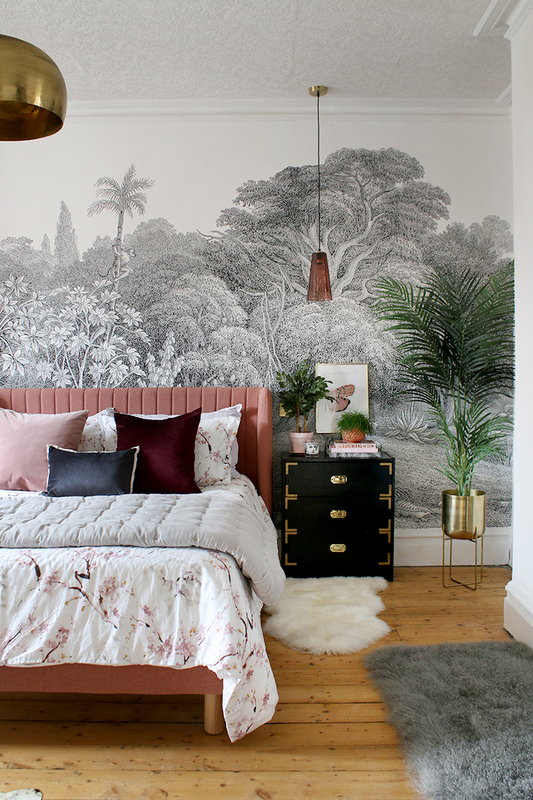 With a love of eclectic design, glamorous finishes and bohemian comfort, we spoke with her about her style and some of her best interior design tips. Tell us a little bit about yourself and how you got into interiors? I think I’ve always loved interiors. 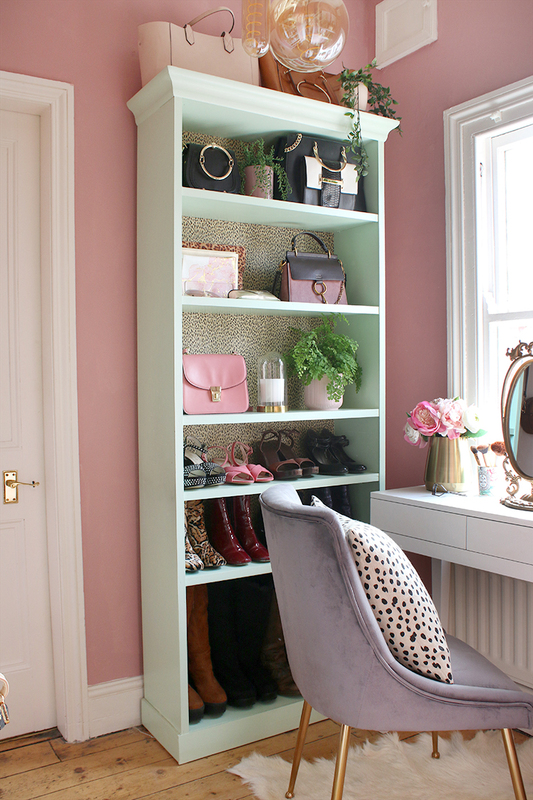 I remember my mother had a great big interior design coffee table book that I loved looking at when I was just a little girl and then as I got older, I went from constantly redecorating my own bedroom as a teenager to decorating the rental flats I was living in. My landlords were always so impressed with what I did with their spaces and I used to help friends decorating their flats too. 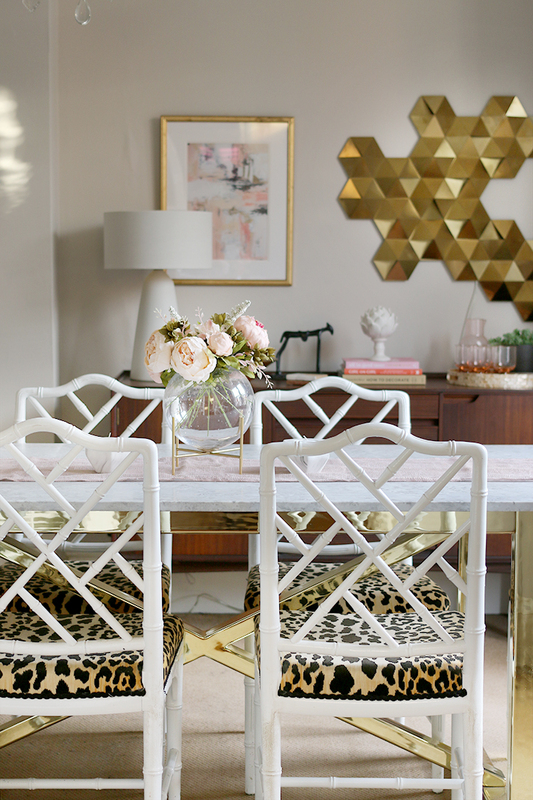 I started a blog called Swoon Worthy back in 2010 just as a hobby to start off with to express my passion for interiors. At the time, my partner Wayne and I had just bought a house outside of Manchester and I wanted to catalogue the changes we were making on the house. There weren’t that many blogs quite like it in the UK at the time but I’d seen US bloggers doing this so I wanted to join in the fun. It grew from there and my passion became my career, helping others to learn the ropes of interior design, even if they don’t have formal training. I’m so lucky that I am able to use the knowledge I’ve learned over many years and share that with others. I pinch myself that I’m doing something I truly love and through my blog and freelance writing, I’ve been able to make a full-time career out of it and support myself and my family. We moved into our current home in the lovely historic town of Shrewsbury a year ago. It’s a beautiful double-fronted Victorian house built in 1889 with lots of original features and so we’re really excited about all the projects we’re working on. We are currently creating a small extension, putting in a new kitchen and creating an open plan kitchen diner and so while my house is a bit of a construction site at the moment, it’s wonderful to be putting our own stamp on this property and sharing the journey with my readers too. What’s the biggest interior design lesson you’ve learned? I think the biggest lesson I learned is not to be afraid to make mistakes. I’ve had many people over the years tell me how ‘brave’ I am with my interior design choices but I like to remind people, this isn’t brain surgery – it’s just paint and wallpaper! Almost everything can be ‘un-done’ – walls can be repainted, wallpaper can be removed, pieces can be returned. The only way you really learn is by taking a few risks and stepping out of your comfort zone. Everything you do is an opportunity to learn and that’s how you improve your skills over the years. 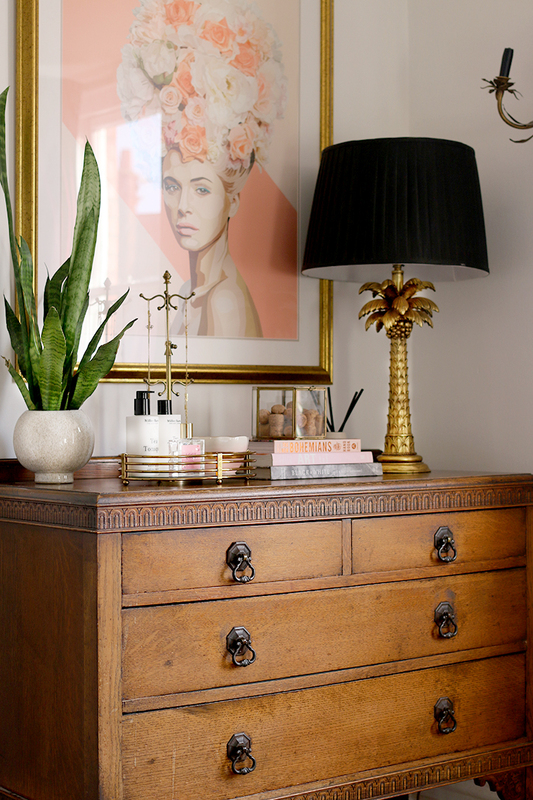 I consider myself a bit of a maximalist – I call it ‘artfully organised clutter’! I just think objects and items can reflect so much about a person, about what they choose to surround themselves with. I just love interiors with personality as a result and for me, that generally means gold luxurious finishes, a few cheeky animal prints, touchable textural fabrics, a touch of vintage and bohemian-style comfort. 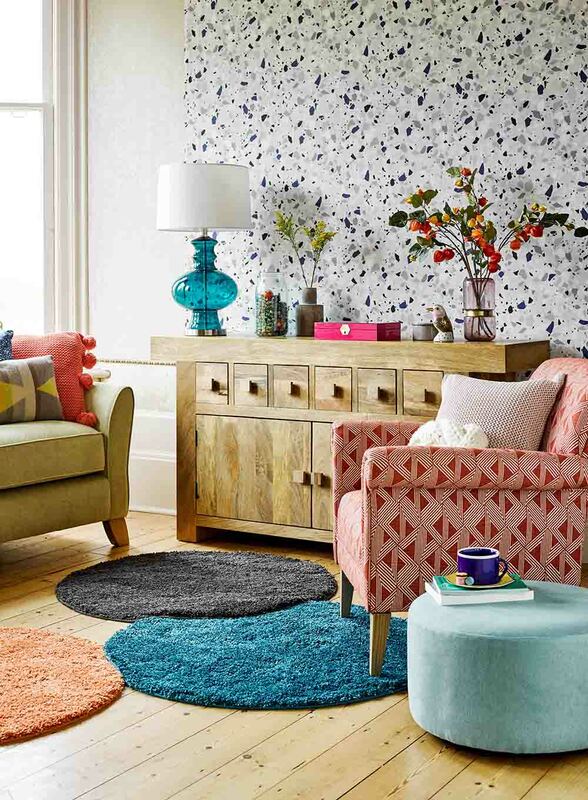 I usually describe it simply as Eclectic Boho Glam. I have a really beautiful Pierre Vandal brass and smoke glass shelving unit from the 1970s that’s probably my favourite vintage piece. I can’t see myself ever selling it! Aside from that, I had been looking for a marble and brass dining table for ages but couldn’t find one within my budget so I decided to have it made bespoke. It’s a special piece because I designed it myself and it wasn’t as expensive as you might think. Of course, Pinterest, other blogs and Instagram are always good for inspiration as are design magazines, but my favourite inspiration lately comes from restaurant, bar, hotel and retail design. There are a lot of exciting things happening in commercial projects where designers can push the boat out a bit but if you pay close attention, there are always things you can take away into your own home. Pay attention to things like the way they make use of space in a hotel room or the finishes and textures that are combined in a bar or the lighting in a restaurant. There’s inspiration everywhere. What are some of your best styling tips? Take a holistic view of your home than viewing it as a bunch of individual spaces. While each one will be different in function, you can tie certain elements that join each room to each other. 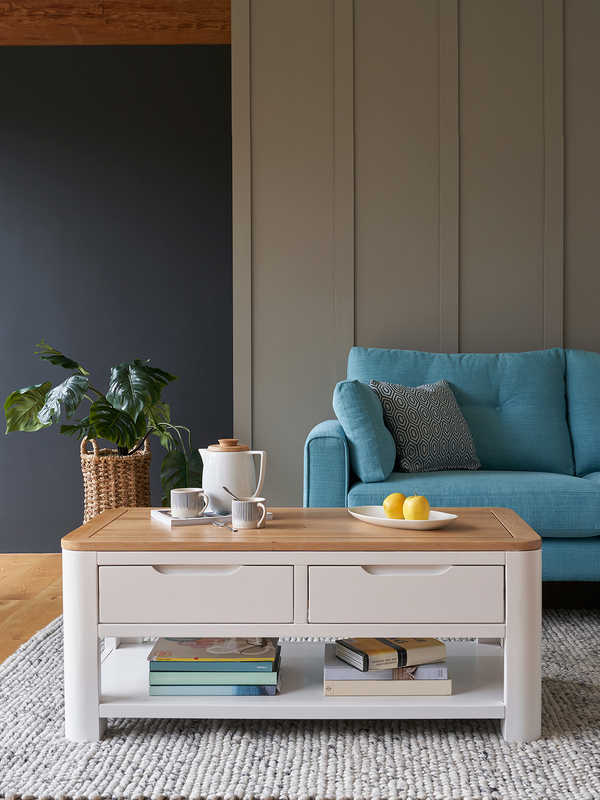 It could be an accent colour or colours that are used in various areas of your home in different ways or it might be certain finishes or materials that are repeated. 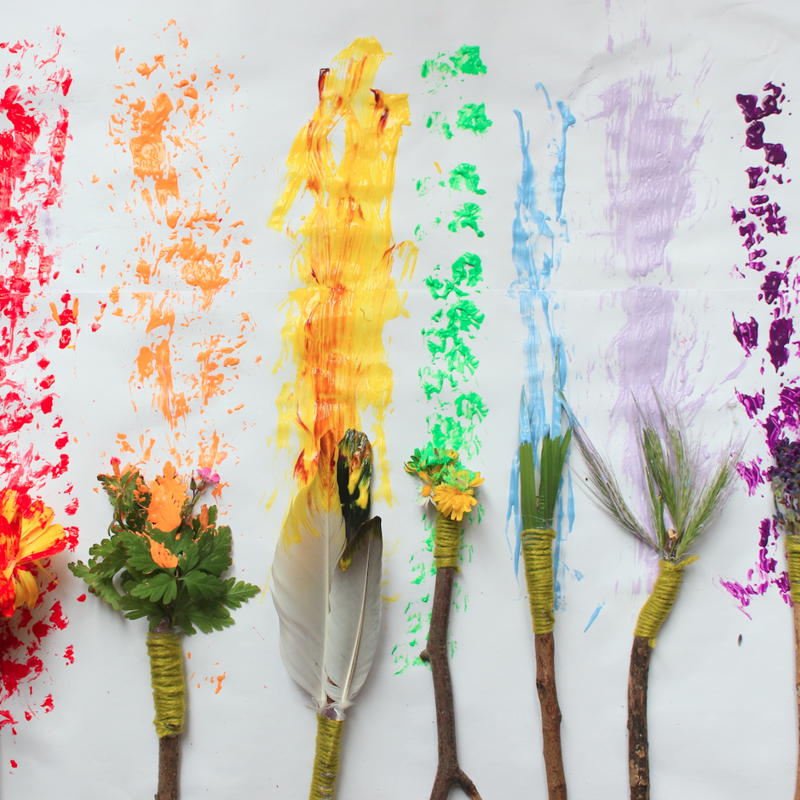 It creates cohesion no matter what style you love. I also love creating small ‘moments’ or vignettes in my home and so on surfaces, I like to create areas to display things I love. 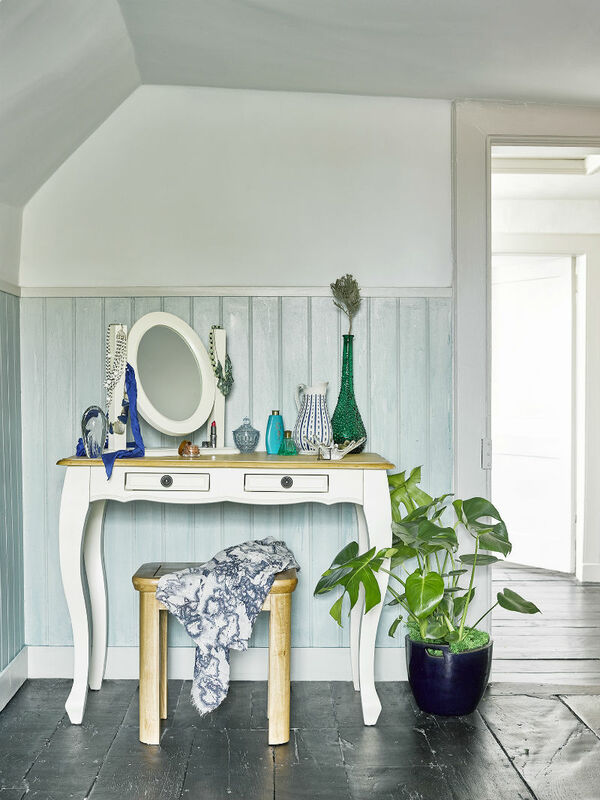 So, my tip would be not to neglect your surfaces – flowers, plants, trays, candles, books and pretty decorative objects are all in my ‘must-have’ arsenal for decorating my home. What trends are you excited about this year? I love how we’re seeing a movement back to warmer shades. I never thought I’d say that I liked beige but trends are often cyclical and so it wasn’t a surprise to see the coolness of grey making way for colours like stone and taupe. It makes a room feel really inviting. Using these as a backdrop, colours like deep rust and sage greens are big news and while pink shades are still going strong, there are more peach shades coming in for a really lovely tonal effect. I love it combined with burgundy shades too. 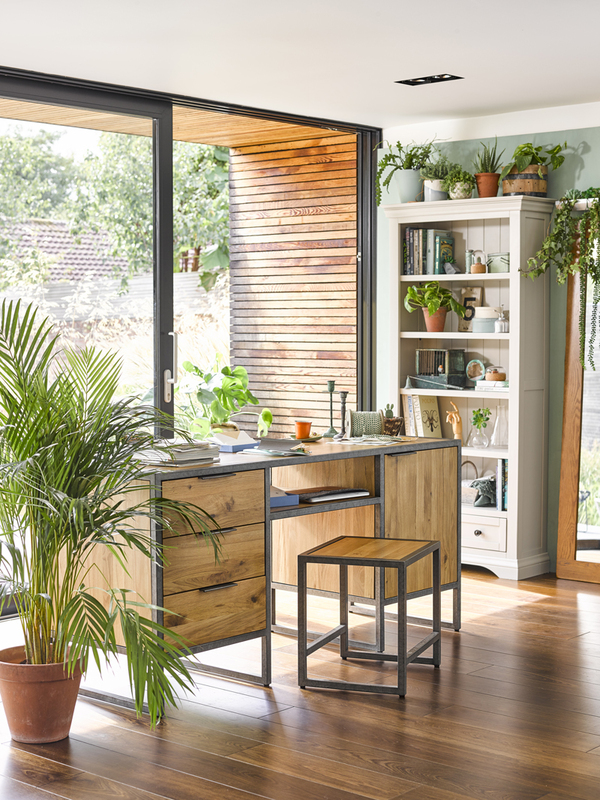 I’m also excited about the 70’s revival – it’s been bubbling for a while and houseplants have been such a huge trend for a really long time but we’re seeing much more in the way of rattan and woven pieces. It creates a really great relaxed vibe that doesn’t feel too forced. I’m also loving the opulent Art Deco looks. 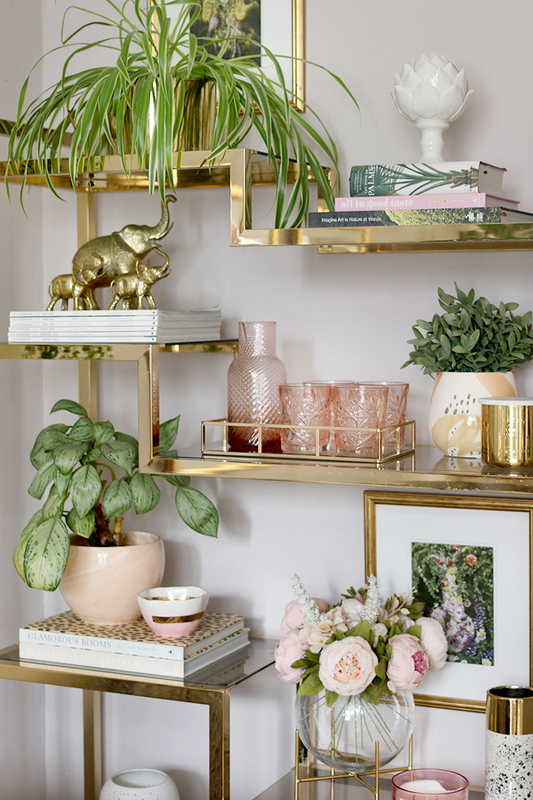 I’ve always been a huge fan of gold and brass finishes and combined with rich velvet and lots of fringes and curved shapes, there’s an amazing resurgence in this iconic style for those who love a bit of glam in their homes. What are your five favourite OFL pieces and how would you style them? 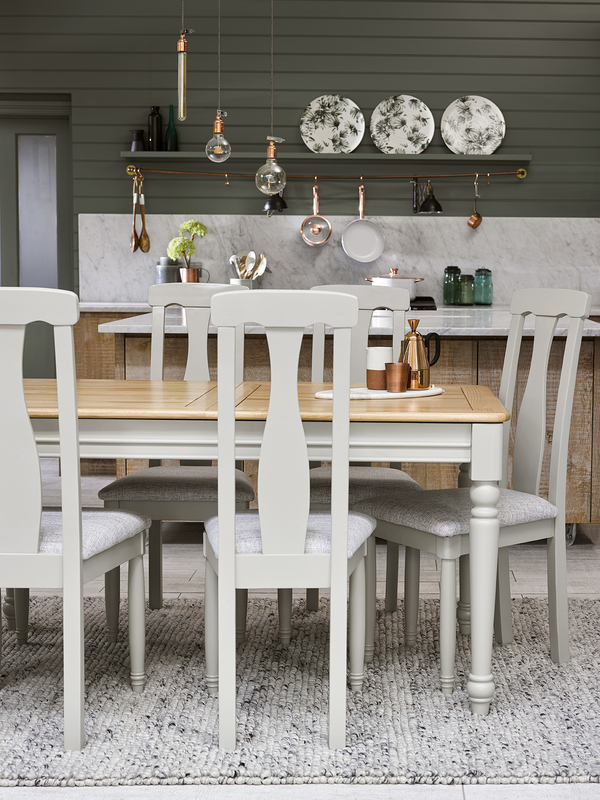 The Arlette grey round dining table is just so perfect for smaller spaces. I’d style this in a breakfast nook with a gorgeous bold wallpaper and a brass pendant lamp. The Brooklyn computer desk is another favourite and one I think my other half would love for his office. I’d surround it with dark walls and rich textiles and a few matt black accessories to create a wonderfully industrial space with a modern edge. 3. 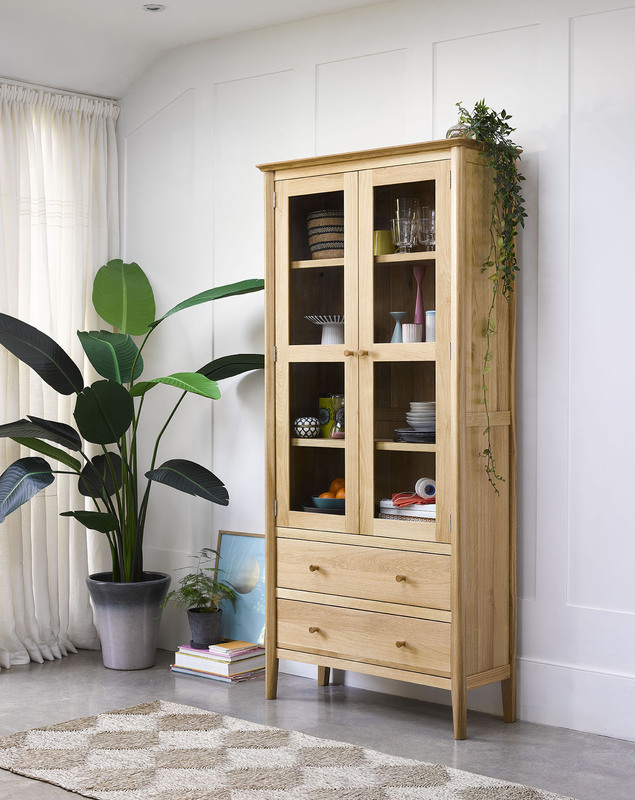 The Shay chest of drawers is beautiful and its feminine shape is just crying out for a rustic French-inspired bedroom – I’m thinking soft linen bedding and wildflowers in upcycled glass containers. 4. The Panama leather accent chair would be the perfect addition to a stylish Art Deco-inspired living room next to a set of bookshelves, a floor lamp and a small side table to create a wonderful little reading nook. 5. And finally the Chesterfield sofa is such a classic design – I’d love to see that paired with a marble coffee table and a few velvet scatter cushions. 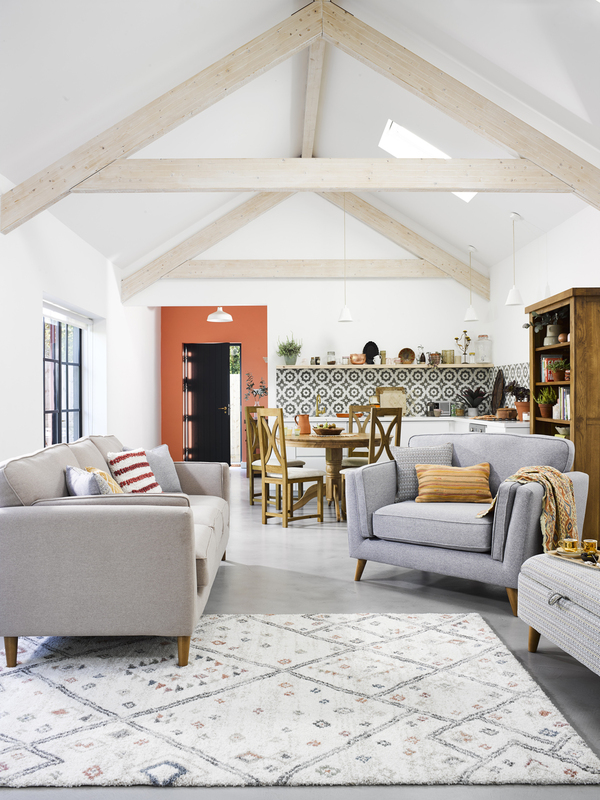 What question would you love to ask another interior stylist? 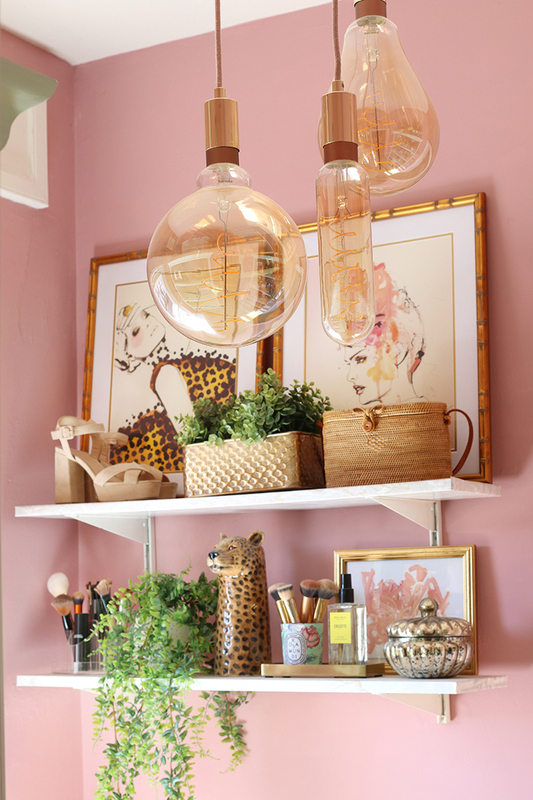 I’d ask a fellow interior stylist what’s an absolute must in their styling kit? I’m always looking for great shortcuts and stylists always have the best styling kits! Follow Kimberly on Instagram or head over to her website to see more of her great work.